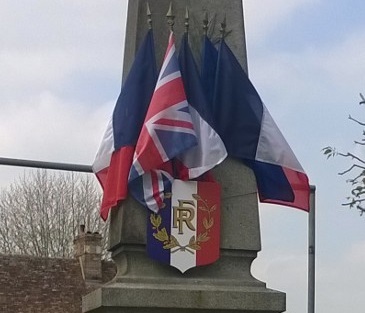 For a Brit abroad it is true that Normandy in Northern France does feel familiar not only with England, but also rural Ireland. Geographically of course the land is ever likely to be similar. In gobal terms Southern England, Eire and Northern France are close neighbours sitting on the same lines of latitude, seperated by relatively narrow bodies of water. Historically too there are good reasons why we should think we are all the same under the skin. As late as 16000BC stone-age man could walk from Kerry to Caen without getting his feet wet and it wasn’t until 6100BC that Britain and France finally separated and Britain became an Island. More importantly Ireland, Britain and France have a common Celtic background. Just how a developing culture can hop across two seas and a land mass from France to Ireland is thought to be explained by Trans-cultural diffusion; a result of, migration, war, slavery, intermarriage or word of mouth. Still, despite the slightly dubious notion of how it came about, being of Celtic heritage is not unlike being a left handed Man Utd supporter; not immediately obvious, but an indelible part of shared inner psyche. The early Celtic Irish Kings didn’t back away from a fight, least of all between themsleves, their beliefs fiercely held both about national identity and religion. 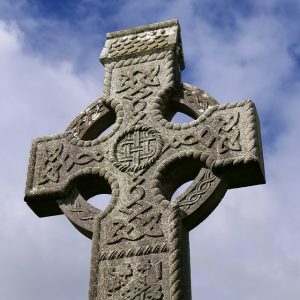 Any force intent on invading Ireland faced vicious opposition and with God in their pocket, it’s doubtful the Irish would lose faith in the cause. Neither the Romans nor the Vikings ever got a real foothold in Ireland. The Romans never really tried, settling instead for just using it (Hibernia) as a trading post. The Vikings got no further than clinging on to the Norse-Irish kingdoms of Dublin, Waterford and Wexford. Eventually, in 1171 the Anglo-Normans did take control of all Ireland under Henry II, landing a large army and calling a halt to the offence and counteroffences of the Irish Kings and Cambro (Welsh) -Norman Lords, who’s original mercenary actions resulted in the seizing of Leinster and the Norse- Irish kingdoms, Henry had backed. A treaty was struck, allowing the Irish keep their kingdoms, but it soon fell apart and the offence and counter-offences raged on. In 1177 Henry changed tack, naming his son John ‘Lord of all Ireland’, backing the Norman Lords offences against the remaing Irish kingdoms and declaring seized territories crown land. There was a number of reasons why Henry eventually succeeded in defeating Ireland, one being the Irish Kings inability to unify in opposition and another being the Catholic Churches support of the Anglo-Norman offensive. The end result was the beginning of 800 years of English rule and later, British involvment in Ireland. England (Britons) and France (Gauls) were both occupied by the Romans. The same can be said the Vikings who, having run out of herring, turned their summer holiday habit of sacking monasteries in England, France and Ireland into an invasion and occupation. In England and France paying Danegeld to make the raiding Vikings go away proved pointless. In 1016 England fell under the rule of Cnut King of Denmark and Norway, who unified the Anglo-Saxon kingdoms that emerged in the anarchy after the Romans left. In Northern France, Rollo (a Viking of unknown heritage) took control of Frankish lands including Bayeux and Rouen and in 918 was granted additional land by Charles the Simple, King of West Francia. This allowed Rollo to create modern day Normandy (land of the Norsemen) on the condition he stop raiding, became a Christian and protected West Francia against future Viking raids. It’s not clear if Rollo ever took a title, but he is popularly known as the first duke of Normandy. Now with the Vikings fully integrated into society, England and Normandy were united by common occupancy, but still divided by national identity as two distinct dynasties. That was until King Aethelwulf of Wessex, Alfred the Greats father succumbed to the charms of Judith of Flanders on the way back from a trip to Rome in 856 and they were married. When Aethelwulf died in 858 Judith married her stepson King Aethelbald, brother to Alfred the Great. Judiths third marriage to Baldwin Iron Arm, the Count of Flanders produced a son who would marry Alfred the Greats daughter and become Countess of Flanders. She was also an ancestor of William the Conquerors wife Matilda of Flanders. Alfred the Greats son Edward the Elder then continued the trend by marrying his three daughters to Frankish Dukes and Kings.